Billionaire Jeff Bezos’ Washington Post has been one of the primary forces driving the Democrats’ narrative that President Trump’s campaign, and maybe Trump himself, “colluded” with the Russians. And, furthermore, that the Russians exerted, through shadowy means never fully explained, enough influence over the 2016 presidential election to defeat Hillary Clinton and throw the election to Donald Trump. While the initial raison d’etre for the Mueller investigation was a counterintelligence investigation to determine whether there was “collusion” between the Trump campaign and the Russians, when that proved fruitless an investigation of Russian attempts to influence the election eventually produced the indictment in abstentia of 13 Russian individuals and entities. That the Russians and their predecessors in the Soviet Union wish to influence policy in the United States and other countries has long been an article of faith, especially among conservatives, and other students of the Soviet Union and Russian intelligence operations. Indeed, in 2013 our friend Diana West published the must-read book American Betrayal, documenting in excruciating detail how the United States government was penetrated by Soviet agents of influence, and, how those individuals worked to influence American policy during the Cold War and beyond. So why, after spending the better part of 18 months immersing the American body politic in the myth of the Trump campaign’s alleged collusion with the Russians, would the Washington Post deny that Russian influence operations exist? And trash Diana West’s book in the process? At the risk of sounding like the Clintons parsing the meaning of “is” we would argue that that depends upon what kind of “spies” you are talking about. True, spies as traditionally defined, are covert gatherers of information, and those were discouraged from “Influencing policy” because “it would raise red flags and thereby endanger access to classified materials,” but that hardly begins to encompass the entire oeuvre of the Russian intelligence apparatus – or that of the United States for that matter. As Diana West documented in American Betrayal and the great Whittaker Chambers explained in his biography Witness, the Soviet Union, through agents of influence, the Communist Party and the Communist International, and front organizations, such as the anti-nuclear and peace movements, penetrated the United States government and major American institutions for the purpose of influencing policy – as well as to gather intelligence. Indeed, they operated parallel networks in Washington, DC, and elsewhere throughout the United States, to do both at the same time, penetrating the Franklin D. Roosevelt and Harry Truman administrations, and later ramping up their influence operations outside of government to a fever pitch during the Reagan years. There is a great body of scholarly work, Diana West’s American Betrayal and M. Stanton Evans’ Blacklisted By History, to name just two of the more accessible books on the subject, that proves that the Soviets, and their Russian successors, devoted vast resources to successfully penetrating the government of the United States, especially the Roosevelt and Truman administrations. So, why deny that influencing policy was a Russian goal during the Roosevelt and Truman administrations, while claiming the exact opposite for the Trump campaign; wouldn’t influencing policy be the whole point of influencing the election? 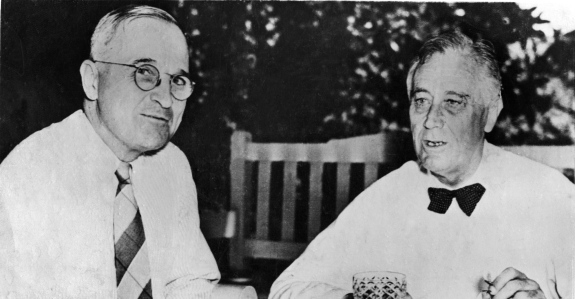 The answer is, of course, that Left-leaning academics, and publications like the Washington Post, are loath to admit – even in the face of overwhelming evidence – that Democratic presidents, especially Roosevelt and Truman, were indeed penetrated and influenced by the Soviets, but they are only too happy to accuse Trump, without any evidence, of being guilty of the same charges. George Rasley is editor of Richard Viguerie's ConservativeHQ.com is a veteran of over 300 political campaigns. A member of American MENSA, he served on the staff of Vice President Dan Quayle, as Director of Policy and Communication for Congressman Adam Putnam (FL-12) then Vice Chairman of the Oversight and Government Reform Committee's Subcommittee on National Security and Foreign Affairs, and as spokesman for Rep. Mac Thornberry now-Chairman of the House Armed Services Committee. Submitted by rosugill on Mon, 03/19/2018 - 11:54. Anyone with half a brain should know that the WAPO is totally without credibility and therefore is little more than something for the floor of a bird cage.